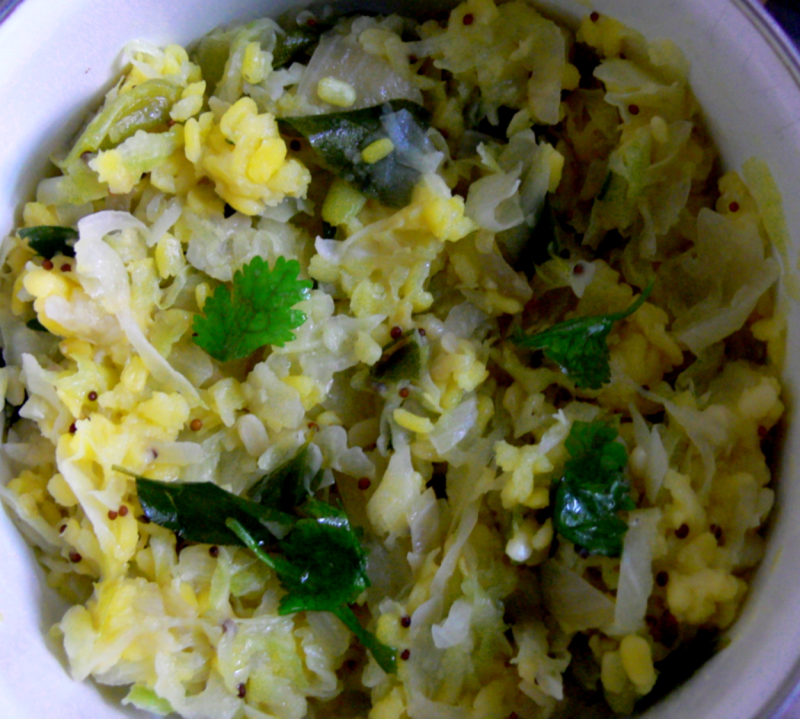 A delightful mish-mash of Cabbage and Dhal. A variation from the North Indian preparation. Heat cocunut oil in a kadai. put mustard seeds, urad dal, cumin seeds,curry leaves,chopped coriander leaves,green chillies, salt, turmeric powder and water . bring it to boil. Add cabbage and cook till done. Add cooked dhal and grated cocunut. You can also add few crushed cashews fried in ghee to add richness to the Cabbage Parupu Thoran. Hi Suri, thank you very much . You can add the Ginger juliens(optional) after sauting the curry leaves. Thanks.